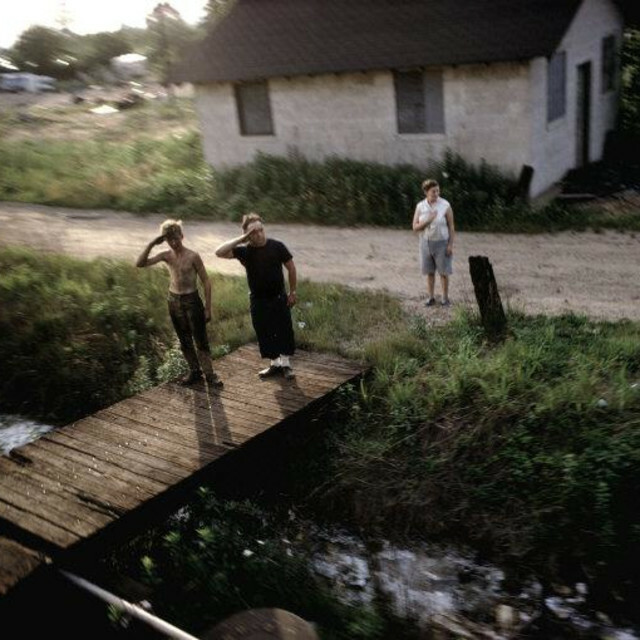 Paul Fusco was born in Leominster, Massachusetts in 1930. He received his B.F.A. in photojournalism from Ohio University and went directly to work for Look magazine as a staff photographer and traveled extensively in South East Asia, Mexico, India, Europe and Russia. In 1974, he joined Magnum Photos. His work has appeared in many domestic and international publications such as LIFE, Time, Newsweek, the Sunday Times and Paris Match. He has exhibited at the Metropolitan Museum of Art, New York; San Francisco Museum of Modern Art; Newseum, New York and the Corcoran Gallery, Washington, D.C. RFK Funeral Train was published by Umbrage Editions in 2001, with an introduction by Norman Mailer. And an updated and expanded edition will be published by Aperture in September 2008. Most recently, the Metropolitan Museum of Art in New York acquired six of the RFK Funeral Train phtoographs.